When they first came out, hoverboards were all the rage. Sure, they weren’t exactly what we were hoping for, given the high bar that Back to the Future set, but that didn’t mean that they weren’t fun to use or didn’t offer hours of enjoyment. Unfortunately, a rush to get them to market made them unsafe, as the batteries started to catch fire and the devices themselves would break down easily. As a result, hoverboard use declined sharply after that. Thankfully, for those who still want to utilize these fun machines, you have a new option: the Epikgo Off-Road Hoverboard. Unlike previous models, this one has been thoroughly tested for safety, and the size of it means that you can go almost anywhere, including up inclines and over rough terrain. Part of what made older hoverboard models so limited in scope was that they had small tires that couldn’t handle a small pebble, let alone rough terrain like grass or sand. 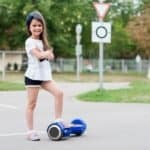 With the Epikgo, however, you get massive 8.5-inch wheels, which not only give you a height advantage for clearing obstacles, but they can also handle almost any surface or incline. For safety purposes, they are made of solid rubber, but that also means that they can never go flat or will need to be pumped full of air. Simply put, the tires allow you to conquer the road. Another limitation of older models is that you could only go so fast, and after a few minutes the batter would be worn out, and you would have to recharge. 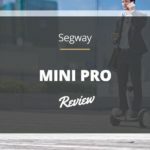 With the Epikgo, however, you get two powerful 400-watt motors that will offer speeds of up to ten miles per hour, making it much better than the competition. While it’s not exactly enough to zip down the street, it is much faster and more convenient than walking, and you can be the envy of your other hoverboard friends. If you ride a hoverboard, odds are that you want to be able to do so for as long as possible. After all, what’s the point of riding for only a few minutes at a time? With that in mind, the Epikgo Hoverboard has a range of up to ten miles, meaning that you can go at top speed for a full hour before it will die on you. Similarly, if you run around on a lower speed setting, you can last even longer, which means that this unit will easily outlast the competition. As we mentioned, a big problem that plagued early hoverboards was that they could catch fire without warning. To give you peace of mind, the Epikgo has been certified as safe by all major US safety organizations, meaning that you can use this device to your heart’s content without ever having to worry about it breaking down or igniting while you’re on it. Simply put, this is the gold standard for safety in hoverboards. Q: How much weight can this hoverboard hold? Q: Does it come with a backpack or carrying case? A: If you get the base model, it does not. However, you can purchase a carrying case separately from their website. Q: How much of an incline can it go on? A: According to EpikGo, up to eighteen degrees on an incline. 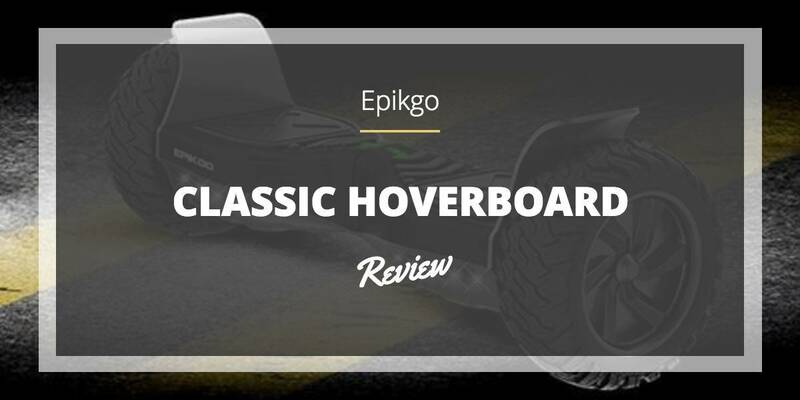 Overall, if you’re the type of person to get a hoverboard, then you will want to buy the Epikgo model. This is far and away the best device you can get, and it will blow the competition away. You have better performance, faster speeds, longer range, and a better height clearance so you can go almost anywhere you please. Simply put, this is the best hoverboard out there right now. 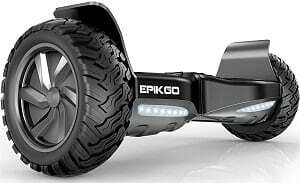 Buy EPIKGO Off-Road Hoverboard on Amazon, Now!